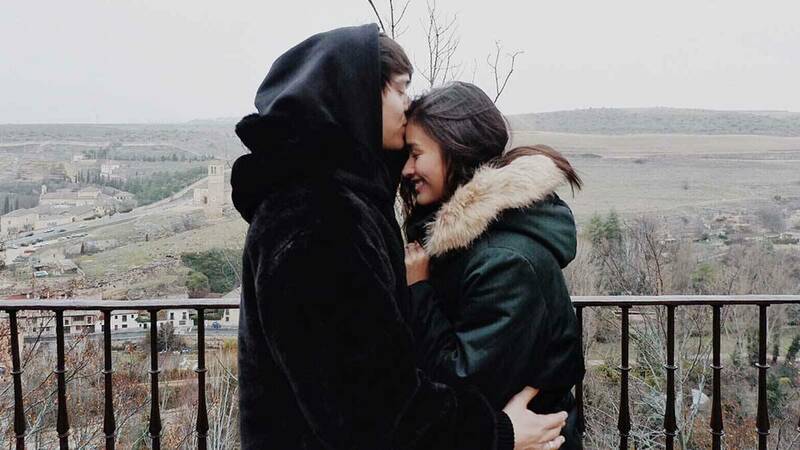 Enrique Gil and Liza Soberano took their relationship to the next level by having their families meet during their Euro trip over the holidays. After going to London and Paris with their respective immediate families, their final stops were in Madrid and Segovia to meet the Gil clan. And it goes without saying that Quen ~finally~ introduced Liza to his whole family in Spain. In an interview with ABS-CBN, Quen opened up about the special occasion and revealed it was the very first time he brought his special someone to meet his Spanish family. "It's my first time to introduce somebody to my family sa Spain. It was crazy. It's a huge step for me to make [her] pakilala to all of them," he said. "Sinasabi niya sa akin na she loves Liza so much. Very edukada, very well-brought-up woman. Natuwa naman ako." "'Yung lola ni Quen, sobrang animated siya. She's just like Quen but 10 times more. For her age, she's very hyper and she's very funny. Walang dull moments. Hindi siya nauubusan ng kuwento."